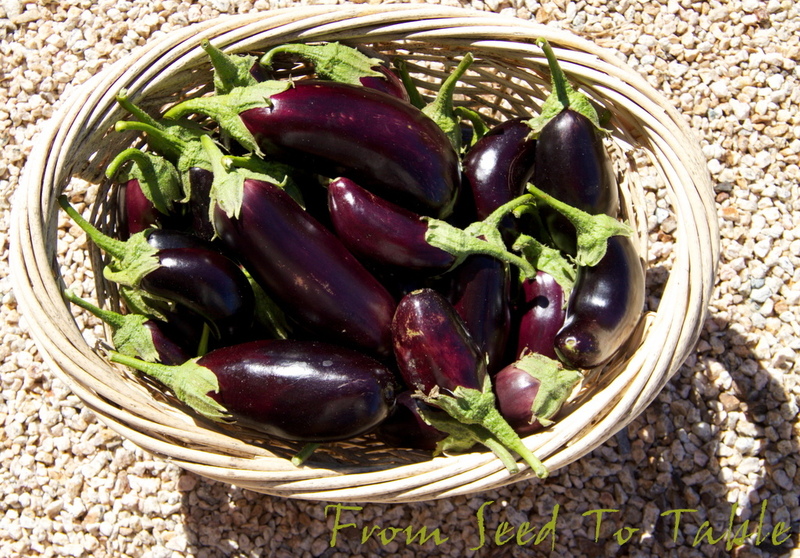 This was the week for preserving peppers and eggplants. 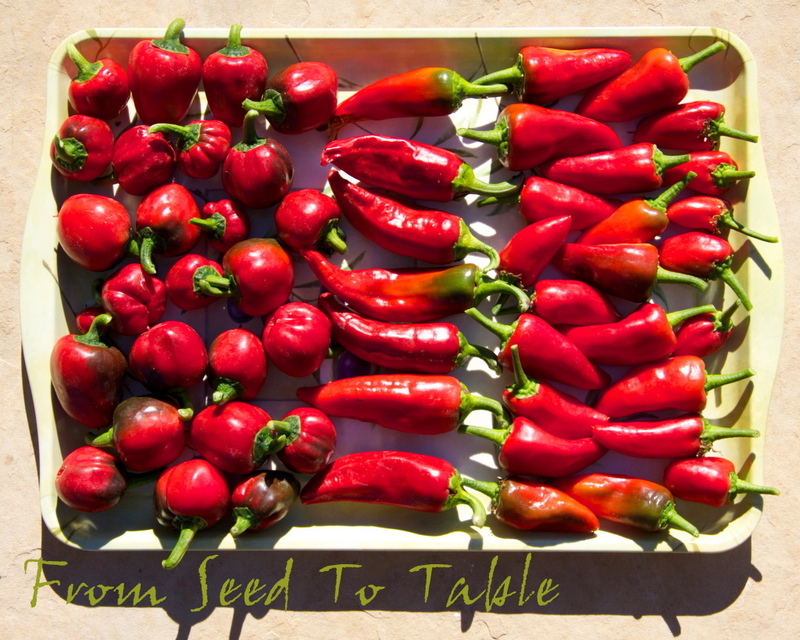 There weren't large amounts of peppers to harvest but there was variety. The Topepo Rosso peppers are moderately spicy and I used them to make a pepper paste to freeze for later use. The Morocco peppers were made into a sweet pepper paste which is also in the freezer. The Esplette peppers are in the dehydrator even now. De La Vera and Chorizero peppers are in the dehydrator and the rest of the peppers shown above were packaged and put in the freezer whole. The Diamond eggplants came through for me this year in spite of the cool weather. Most of these were preserved. I preserved some of them using an Italian method, Sott'Olio, literally under oil. 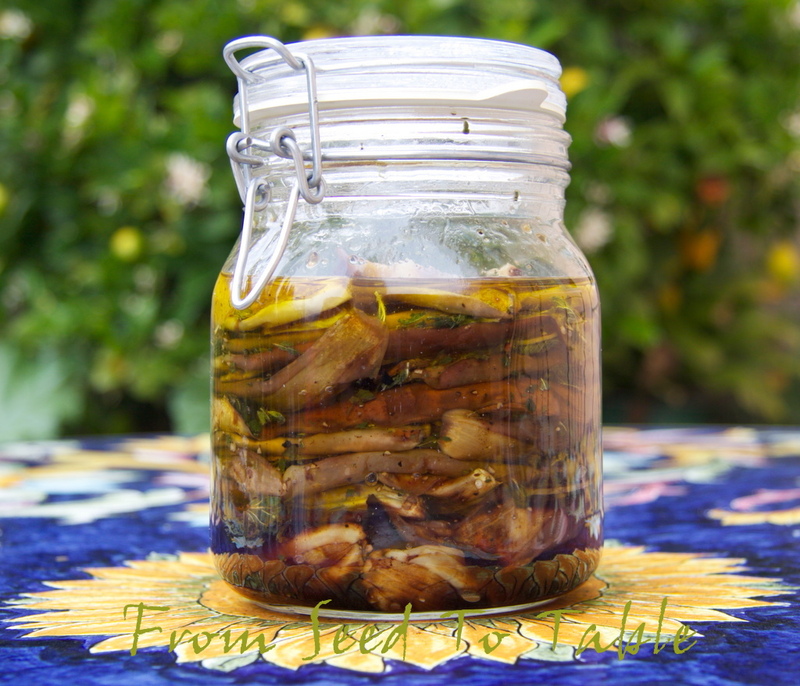 They were sliced, poached in a water and vinegar solution, left to dry for a couple of hours in the sun, and then packed into jars with seasonings and olive oil. They will keep in the refrigerator for months. 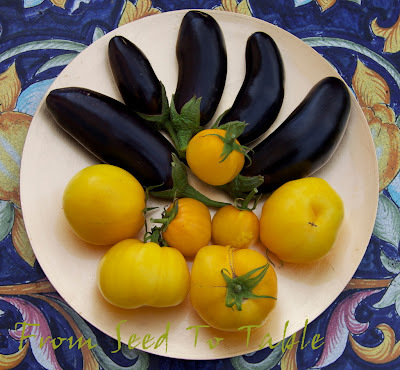 The smallest eggplant were steamed until tender, then stuffed with a garlic, oregano, and pepper flake mixture and packed into jars and covered with white wine vinegar. And the rest of them were sliced and grilled and frozen. 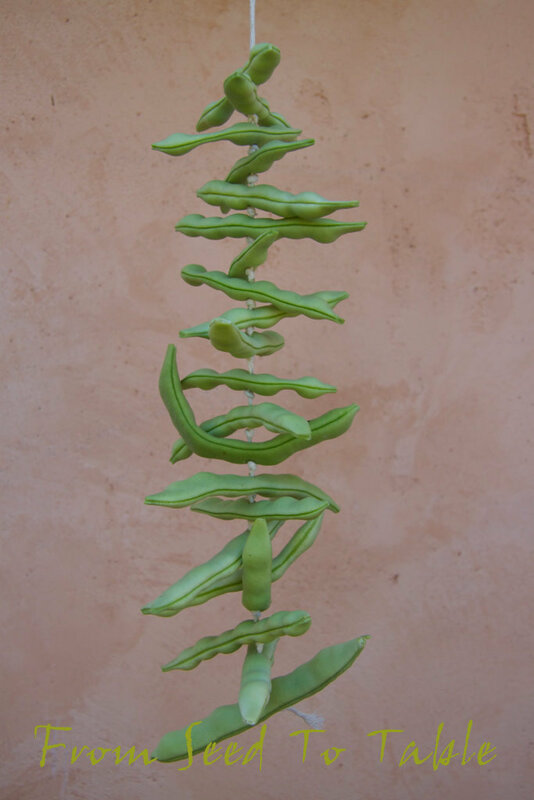 The Petaluma Gold Rush beans are drying on the plants. I started collecting and shelling them this past week. 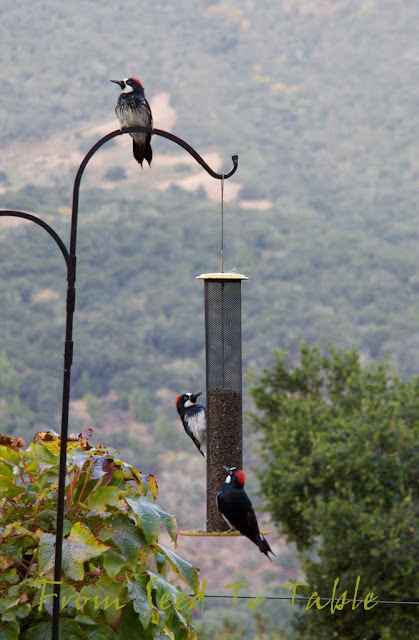 There's still a lot of them left on the plants. And surprise, surprise! The rats didn't munch my raspberry vines down to the ground this year and I actually get to enjoy a few berries every once in a while. I'm not getting enough of these to bother with putting them in the harvest totals. The tomato harvests continue to trickle in. I made a couple more batches of Moroccan Tomato Jam and froze it. Some tomatoes were bagged and frozen whole. I dried the Aunt Ruby's cherry tomatoes, they're large enough to make a nice dried tomato. There's one batch of oven roasted tomato sauce in the freezer. And the rest of the tomatoes have been consumed or given away. And the zucchini plants put out one more flush of blossoms that was large enough to gather and stuff, most likely the last time for this year. Petaluma Gold Rush beans - 1 lb., 7 oz. Diamond eggplant - 7 lb., 4.5 oz. Sweetie Baby romaine lettuce - 2 lb. Aji Pineapple peppers - .25 oz. Chorizero peppers - 3.25 oz. Cuerno de Cabra peppers - 9 oz. 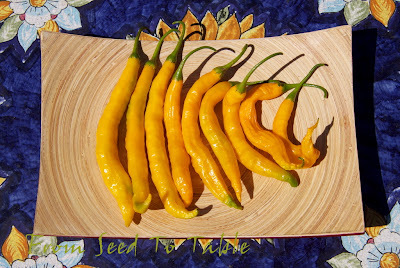 De La Vera peppers - 10 oz. Espelette peppers - 6.75 oz. Guyana peppers - 7.5 oz. Iberian Cayenne peppers - 3 oz. Madrid Bell Sweet peppers - 17 oz. PI593480 (Morocco) peppers - 13.25 oz. Topepo Rosso peppers - 1 lb., 10 oz. 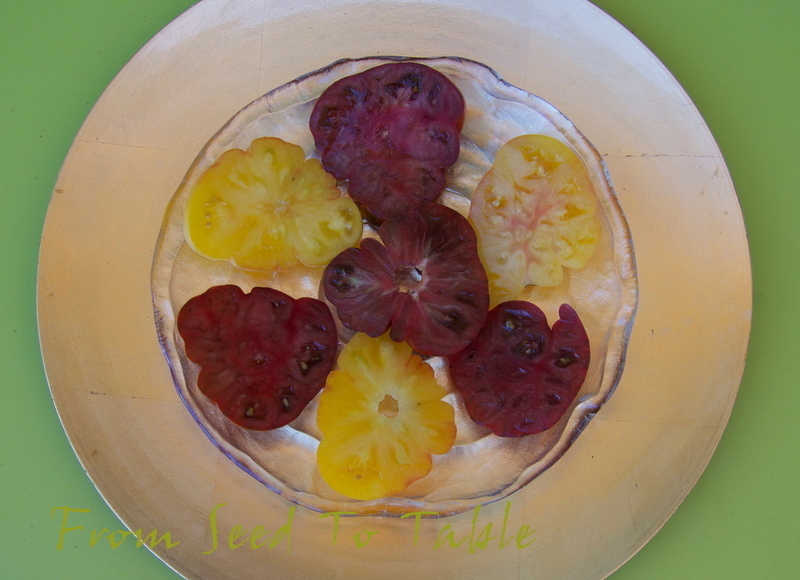 Ananas Noir tomatoes - 8.25 oz. 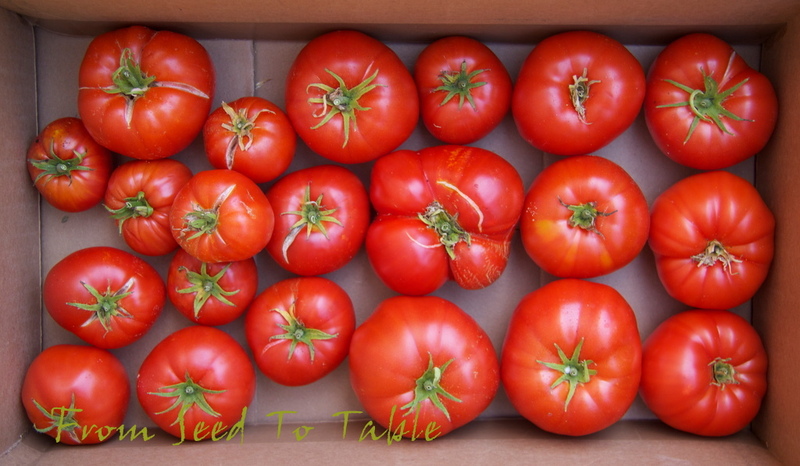 Andine Cornue tomatoes - 1 lb., 3.5 oz. Aunt Ruby's Cherry tomatoes - 1 lb., 10 oz. Chocolate Stripes tomatoes - 2 lb., 7.5 oz. Galinas cherry tomatoes - 1 lb., 9.5 oz. Gigantesque tomatoes - 3 lb., 6.25 oz. Katja tomatoes - 4 lb., 5 oz. Lenny and Gracie's Kentucky heirloom tomatoes - 1 lb., 15.25 oz. Not Wes tomatoes - 3 lb., 7.5 oz. Zucchini - 3 lb., 5.5 oz. 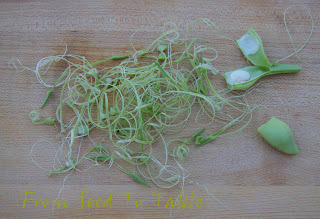 Zucchini blossoms - 3.5 oz. The total harvests for the week were: 40 lb., 12.25 oz. The total for the year is: 544 lb., 9.25 oz. 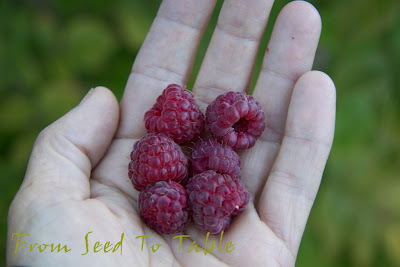 Head on over to Daphne's Dandelions, the home of Harvest Monday, to see lots more harvests from other garden bloggers. The summer harvests continue, although the tomato and green bean harvests have already passed their peaks. The eggplants are suddenly in full swing and there are actually quite a few eggplants that have been on the plants for too long because I didn't really notice (or believe) that they were there. Here's a few of the Diamond eggplants and the first real quantity of Not Wes tomatoes. There are a lot of Diamond eggplants left to harvest and I need to get to them this week. The Not Wes tomatoes are late producers and just starting to ripen up. The ones I've tasted so far are delicious. 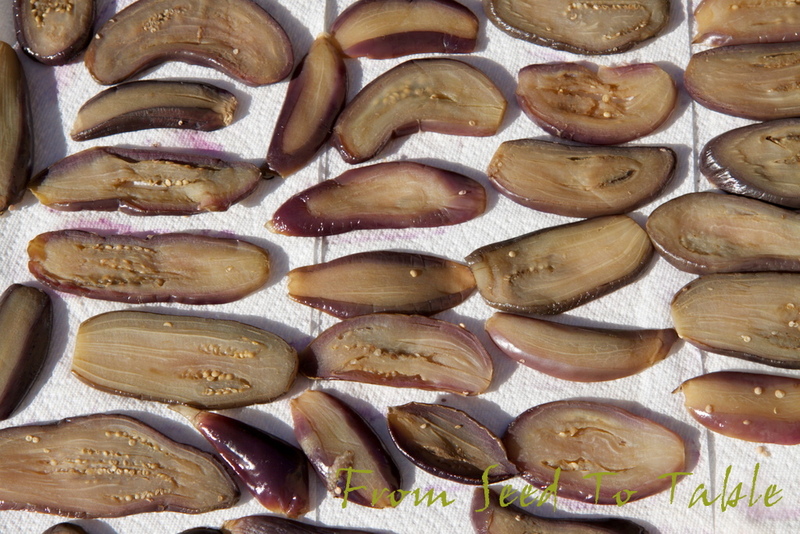 I harvested all the Malaysian Dark Red eggplant that were larger than babies since they were all starting to get dull skins. The largest fruits were developing dark seeds but were still tasty and the small ones were still surprisingly tender and seedless despite their dull skins. I made some pickled eggplant with some of them. 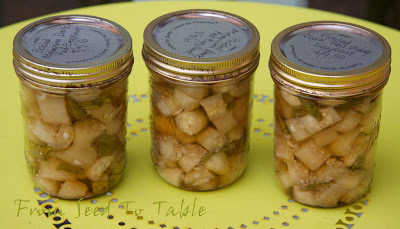 These were made by blanching peeled and cubed eggplant in white wine vinegar, then they were packed in jars with chopped garlic, small basil leaves and some salt, then covered with the vinegar that they were blanched in. I've not tried these pickles before and they won't be ready to eat for a while yet, so I can't say whether they are good or not. A couple more pounds of the eggplants were made into one of my husband's favorite eggplant dishes. This is grilled eggplant marinated in balsamic vinegar and olive oil with sliced garlic and dried oregano. This will keep for months in refrigerator. The slices are great in sandwiches or served at room temperature as an antipasto either straight up or rolled with some goat cheese or mozzarella. I harvested the first Petaluma Goldrush beans as shelly beans. I simmered these in some salted water with a fresh bay leaf and then mixed them into a warm salad of chopped grilled romano beans, slivers of grilled eggplant, sweet grilled onion, chopped seared tomatoes, basil, balsamic vinegar and olive oil. 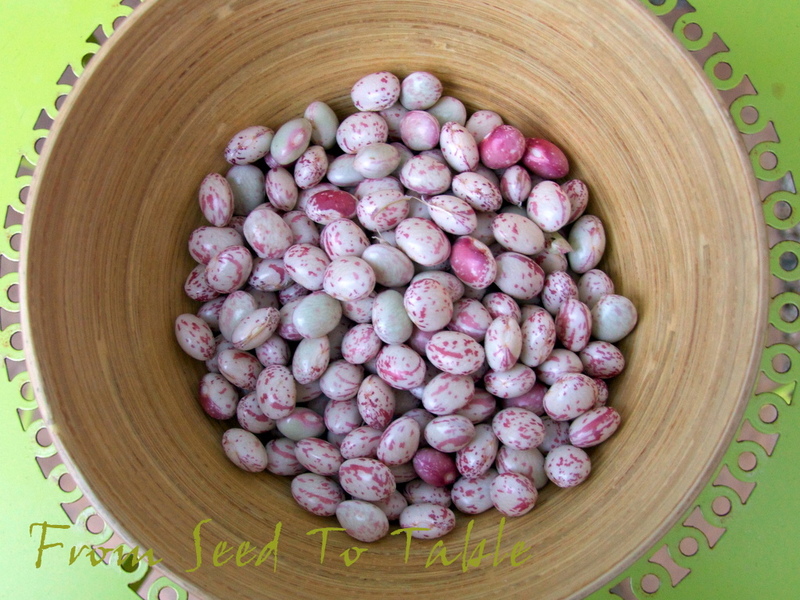 The fresh shelly beans are creamy and delicious, my favorite way to eat beans. Ok, I forgot to weigh the cherry tomatoes this week, too bad. But I did weigh that huge Ananas Noir, it came in at 1 pound 11 ounces. Unfortunately it had a bad spot that extended in to the center of the tomato, but I was able to use about two thirds of it anyway. Wouldn't you know it, it was the best tasting Ananas Noir that I've harvested so far. Here's most of the bean harvests for the week, from left to right Turkey Craw, Petaluma Goldrush, and Garafal Oro. That's pretty much the end of the Garafal Oros. The Petaluma Goldrush are just maturing, some are starting to dry and there's a bunch more that I can pick as shelly beans. 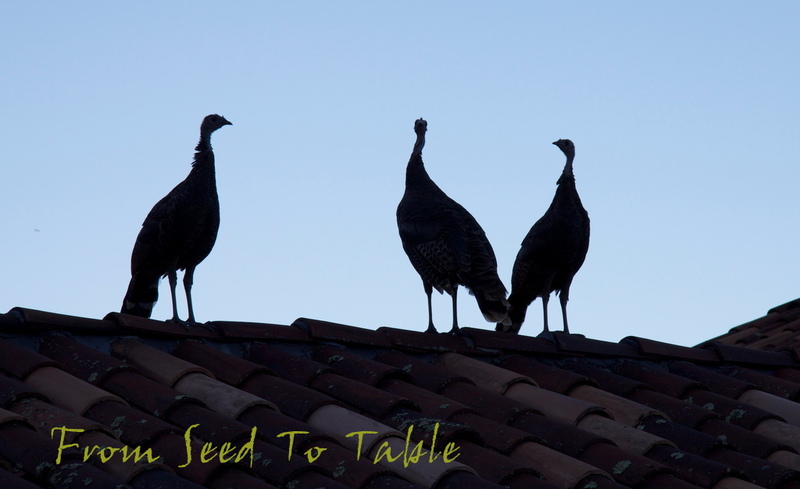 The Turkey Craw beans are about halfway into the harvest. I made a very interesting recipe out of Paula Wolfert's cookbook The Slow Mediterranean Kitchen. It was Sesame Studded Tomato Jam made with some of the Andine Cornue paste tomatoes that I harvested the week before. The tomatoes are roasted until the skins blacken, the skinned tomatoes are chopped and then sizzled in olive oil until reduced to a jammy consistency. The jam is sweetened with some honey and seasoned with cinnamon and orange flower water. Serve it with toasted sesame seeds on top. Paula recommends serving it with Moroccan bread or on top of couscous but I served it as a dip/spread with pita chips, it was a hit. Garafal Oro romano beans - 1 lb., 4.5 oz. Petaluma Goldrush beans (shelled) - 9.25 oz. Turkey Craw beans - 1 lb., 13.5 oz. Suyo Long cucumbers - 1 lb., 6.5 oz. 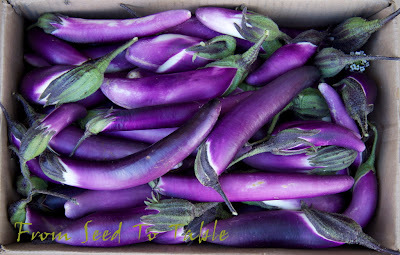 Diamond eggplant - 1 lb., 3.75 oz. Malaysian Dark Red eggplant - 7 lb., 9 oz. Sweetie Baby romaine lettuce - 14 oz. Ananas Noir tomatoes - 2 lb., 1 oz. Andine Cornue tomatoes - 2 lb., 3 oz. Chocolate Stripes tomatoes - 1 lb., 13 oz. Gigantesque tomatoes - 1 lb., 1.75 oz. Not Wes tomatoes - 2 lb., 6.75 oz. The total for the week was - 27 lb., 2.25 oz. The total for the year is - 503 lb., 13 oz. Head on over to Daphne's Dandelions to find more Harvest Monday posts, there's a lot of amazing produce to ogle there. This post may seem to be jumping the seasons a bit since Meyer lemons are considered to be a winter crop. But my Meyer Lemon tree is incredibly happy right now. It could be because of all the amendments that I dug into the soil this spring when I attempted to grow some strawberries in the same bed. Or perhaps it is because I repaired the drip system in that area and it's actually getting enough water for the first time in I don't know how long. It certainly can't be because of the unusually cool summer we've had. Although, this tree seems to be quite tolerant of cool and shade, it's growing on the north side of the house where it gets sun for maybe half the day. they perfume the air when the day warms up. Have you ever eaten a lemon blossom? The petals are delicious, perfumy and sweet. The bees have been collecting every bit of pollen and nectar. There are lemons in every stage of development on the tree right now. Small and green, these should ripen this winter. Sized up and starting to ripen. Fully ripe and ready to harvest. Old and thick skinned but still sound and juicy. 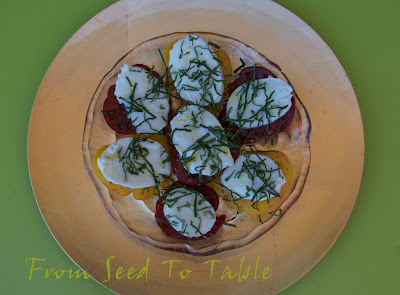 *Salami, Arugula and Meyer Lemon sandwiches, yes, just put thin slices of lemon right in the sandwich. *Fried lemon slices, good with any kind of lemon but Meyers are the best. Thinly slice the whole lemons, pick out any seeds, dredge the slices in flour and deep fry until golden and crisp. Fabulous paired with deep fried fresh anchovies and/or thin sliced zucchini, or even potatoes. Or just serve with some grilled fish. *Lemon-honey-mustard salad dressing - juice of half a Meyer lemon (or any kind of lemon), about a teaspoon each of honey and mustard, salt and pepper and perhaps a bit of truffle oil, whisk in as much extra virgin olive as you like. *Preserved lemons, there are recipes available in lots of books and online like this one. What are your favorite ways to use Meyer lemons? And to replace the strawberry plants that the rats liked to munch on are some seed propagated Paragon rhubarb plants. The rats don't seem to like to munch on rhubarb, but to my surprise the deer do, and no surprise, the gophers. Neither the deer nor the gophers are likely to get to these plants so perhaps next spring I'll finally be able to harvest some home grown rhubarb. Ahhh, September... it's typically the month that ushers in the best weather of the year around here and this year is no exception. Thank goodness, the months that most of you would call Summer were exceptionally cool (rather than just mostly cool) and I was worried that our True Summer, which most of you would call Fall, would be equally crappy. Although the weather forecast for the rest of the week seems rather pessimistically cool, I'm hoping they are wrong... At least for now we've been enjoying mostly fog-free nights and warm sunny days. And tomato season is kicking into high gear, at least as high a gear as it can find this year. Here's a box of Ananas Noir (top left), Katja (pink), Chocolate Stripes, and the first Not Wes (actually it's a Not Quite Not Wes). which became a lunch of Caprese salad. 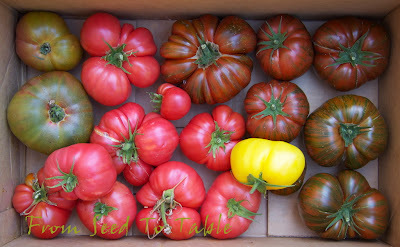 A box of Gigantesque tomatoes, the earliest and most prolific variety that I'm growing this year coming in at just shy of 27 pounds so far. It's not quite like the photo that I posted on October 12 last year, but considering the weather we had this summer I'm not complaining too much. 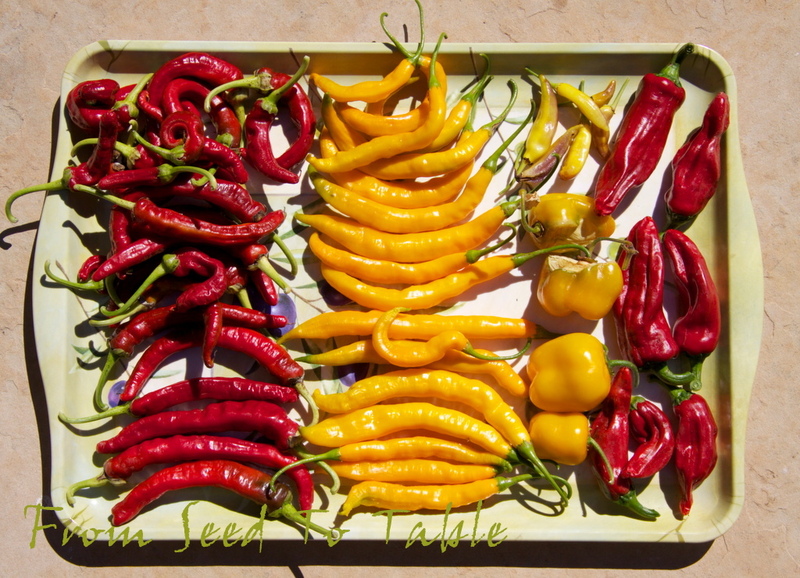 A sampling of some of the peppers that are coming out of the garden, or rather the bulk of the pathetic crop. One Madrid Bell Sweet on the right, this pepper had no seeds, weird. The pointy ones in the bottom of the photo are PI593480 (Morocco), a sweet pepper with an interesting hint of spiciness in it's flavor (there are more of these coming along). 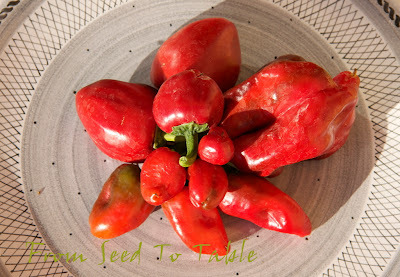 And the other peppers are Topepo Rosso, a moderately spicy cherry pepper, one of the few varieties doing okay this year. Sheesh, I just realized that I didn't even get around to weighing these. I'm all messed up with the peppers this week, posting photos of peppers I didn't weigh and weights of peppers that I didn't photograph. Oh well, at least they're all documented in some way. These yellow peppers are a baccatum species called Guyana, they have a lovely aromatic fruity spiciness that is delightful. I'm happy that these plants are doing well this year. I used one of these rather than a Thai chile (which I'm not growing this year) to spice up a Vietnamese dipping sauce, big yum. And I think I'm going to use some of these in my Spicy Meyer Lemon Marmalade this year. 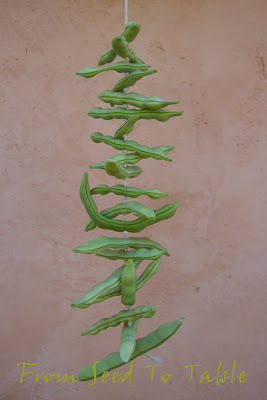 Here's my new experiment with a very old method for preserving green beans. In the days before canning a common method for preserving the green bean crop was to string them up or lay them out on screens to dry to make "leather britches". 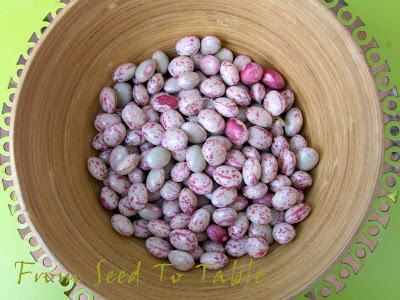 This method works best with old varieties of beans, the modern varieties of beans aren't meaty enough to dry well. The variety that I'm using is called Turkey Craw, an heirloom from Appalachia. The beans are usually picked when the seeds are quite well developed but before the pods begin to dry on the vines, although they can be harvested and dried when the seeds are smaller. I got my seeds in a trade with Nancy (thank you!) who lives in East Tennessee, she and her husband grow a few varieties of old fashioned Appalachian beans, all of which have interesting histories. I'll be doing a future post about these beans since there's a lot more to say about them and I also want to document my experiments with them . 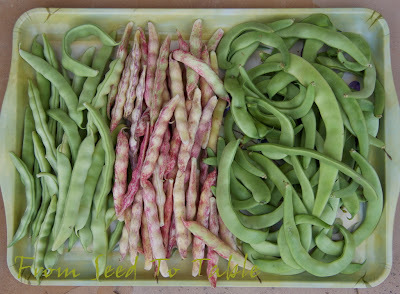 And did I say that these beans are truly string beans? 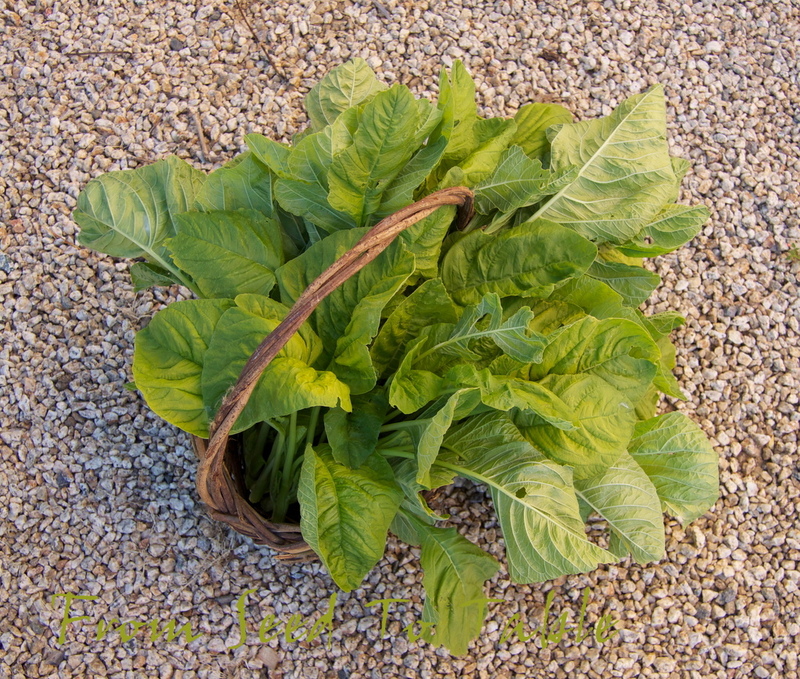 And one more new item in the harvest basket, Thai Tender Amaranth. These plants sulked along for the very cool weeks of "summer" and then we had a heat wave and they took off. They finally got large enough to harvest and we enjoyed these last night simply sauteed with garlic, another yum. These weren't in the harvest basket but my husband keeps saying wouldn't it be nice to have one of them adorn the Thanksgiving table this year.... um, honey, did you want it roasted? Thai Tender amaranth - 15 oz. 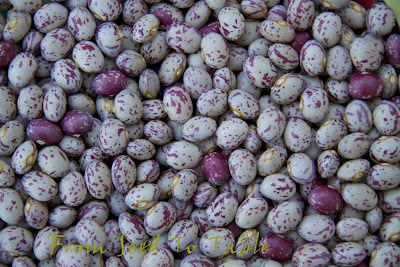 Garafal Oro romano beans - 1 lb., 7 oz. Turkey Craw beans - 7.5 oz. Suyo Long cucumbers - 2 lb., 13 oz. Diamond eggplant - 1 lb., 7.75 oz. Malaysian Dark Red eggplant - 1 lb., 7.25 oz. Sweetie Baby romaine lettuce - 15 oz. Guyana peppers - 4 oz. 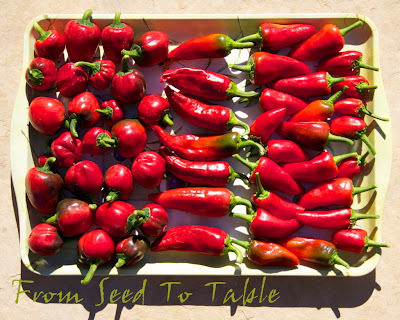 Poblao peppers (the entire pathetic crop) - 8 oz. Viego Arruga Dulce peppers - 4.25 oz. Strawberries (both varieties) - 2 lb., 3.75 oz. Ananas Noir tomatoes - 1 lb., 4 oz. Andine Cornue paste tomatoes - 3 lb. Chocolate Stripes tomatoes - 3 lb., 11.75 oz. Galinas cherry tomatoes - 11.5 oz. Gigantesque tomatoes - 6 lb., 15.25 oz. Katja tomatoes - 6 lb., 2 oz. 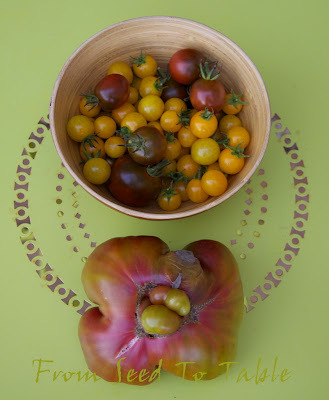 Lennie and Gracies Kentucky Heirloom tomtoes - 1 lb. Not Wes (Not Quite) tomatoes - 5.5 oz. Whew! the total for the week was 41 lb., 12 oz. The total for the year is 476 lb., 10.75 oz. If you would like to see what other garden bloggers have been harvesting lately head on over to Daphne's Dandelions, the home of Harvest Monday.